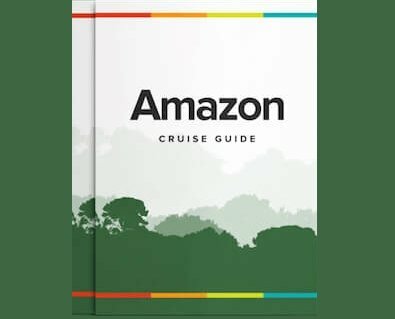 Before visiting the Amazon River, Rainforest Cruises advises to read through a few comprehensive Amazon travel guides to get a better understanding of how to get to the Amazon region and what to expect once you are there. Given the nature of the destination, travelers to the Amazon will need to be adequately prepared for what's to come, from choosing between an Amazon River cruise to packing lists and wildlife guides. All Amazon guidebooks are downloadable. The Pacaya Samiria National Reserve is the second largest protected area in the Amazon region, and covers a vast wilderness of unexplored forests, lagoons, inlets and rivers totaling over 5 million acres, that is twice the size of Yellowstone National Park! An Amazon River tour brings you up close to it all, but the real adventure begins when we step off the ship. From canoeing out on a subsidiary river to fish for piranhas, to trekking through the jungle in search of larger wildlife, the Amazon is just waiting to be explored. At Rainforest Cruises, our cruises and tour extensions are designed to encompass many of the continent’s most rewarding highlights, including such legendary destinations as the Amazon, Machu Picchu, Rio de Janeiro, Iguazu Falls and Galapagos. Amazon tours are one of the most intriguing travel choices on earth. The Amazon Rainforest spans an area of over 2 million square miles across nine different countries. The Amazon is not only a mind-boggling sight to behold, but it also performs an essential task by acting as a giant lung. Arguably the longest river in the world, the Amazon meanders its way from the towering Andes in Peru to the sweeping coastline of Brazil. Before embarking on your Amazon River cruise, take a look at our Amazon River Peru map below, to get a better understand of the location.